Ram Gopal Varma surprises us once again. He will now be acting in a film, which will also be produced and directed by him. 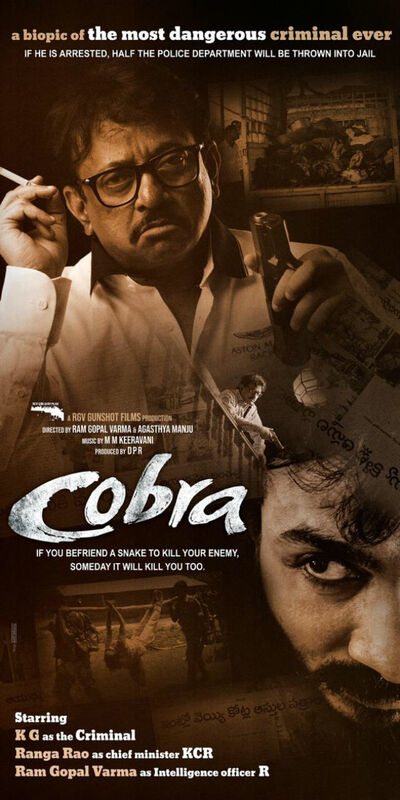 Titled Cobra, in this film RGV will play the role of a CBI Officer. This announcement was made on RGV's birthday. The first look poster of the film was unveiled. Music for the film is by M M Keervani. Agasthya Manju will co-produce the film. RGV was experiencing a lean phase in cinema. With Lakshmi's NTR he shot back into league.